All of our pinot noirs and chardonnays are estate grown; our sauvignon Blanc is produced from a vineyard owned and farmed to our specifications by our vineyard manager and his father. We produce five estate vineyard designated pinot noirs and one estate pinot noir from a blend of our grape sites. We planted 3 rows of Pinot noir in 1989 from bud wood I received from Tom Rochioli. Originally very prolific vines have matured into vines of great character and very low yields. These wines are usually not for early drinking, and have the longest cellar potential. This begins four feet from the end of the South slope and continues to slope to the North. It is 100% French clone 115. The close proximity to the South slope does not influence these flavors as clone 115 exhibits the most fruit driven flavors and appears more "New World" then French. The South Slope begins at the highest elevation and the furthest South of all of our Vineyards blocks. It slopes from South to North about 45 feet and it's soils are predominantly sandy loam. The berry size is medium with a high berry count giving cluster weight that has yields approaching 2 1/4 tons/acre (our highest yields). It is 100% French clone 777, and tends to show it's earthy side far more then our other clones. Although this wine definitely has a French origin, each year it becomes more and more new world. A blend of 3 clones, clone 114, clone 115, and the Rochioli Pommard clone, are grown each on its own one acre site. The vines were planted in 1989 and are in their peak, quality wise. The Rochioli pommard and the clone 115 contribute red berry and cherry flavors and the clone 114 adds a dimension of herbal flavors giving Cahill Lane an Old world character. Alyce was my Mom and she was the life of the party. There is a section of vineyard right in the middle of the North slope where the soils are very heavy adobe clay resulting in the vines struggling to produce a crop more than 1 ton to the acre. It is a field blend of clone 777 and 115. This minimal crop yield tends to produce wines that are big, rich, "over the top" flavors; perfect for "Alyce"
The core of this wine is from the Meadows Vineyard in which 100% comes from the Rochioli Selection. We add in a little Swan clone from our West 12 rows and a barrel here and there. This is truly representative of all of our Vineyard sites. I have a few rows of pinot noir that rarely reach ultimate ripening so I normally sell these grapes. However, in 2013 I let them hang all the way into October. The result was the sugars stuck at 22 brix but the flavors were very complex for under ripe fruit. Therefore, I tried for the first time Rose of Pinot Noir. 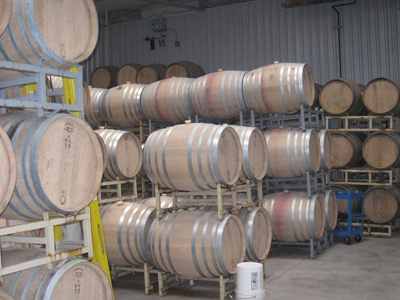 We pressed the grapes as wholeclusters like chardonnay and later after fermentation, added back some wine from our pinot barrels to give it the rose color. It is fresh, crisp and a great summer wine. We produce 5 chardonnays from different portions of our vineyards; each from one or more different clones that combined with soil variations provides a variety of flavors. Produced from the highest elevation and is a product of 3 clones; the Hyde/wente; the Hudson/wente and FrenchDijon clone 95. These clusters are extremely small and the berries are the size of BB's; offering rich and flavorful wines. My Mom, Alyce, was an exciting Lady with over-the-top energy and appeal. This wine takes after her. My father built Cahill Lane through his original property and my brother and I both built family homes on the Lane. This vineyard block is 100% Wente clone consisting of "chicken and eggs"; that is, large and tiny berries packed together in each cluster. This is usually the last block to be harvested so it derives much of its richness from an extended hang time. This vineyard site slopes 40 feet South to North with terrific sun exposure throughout the day and into the sunset. This is a field blend of French clone 95 and clone 76. These wines tend to show their Burgundy heritage. 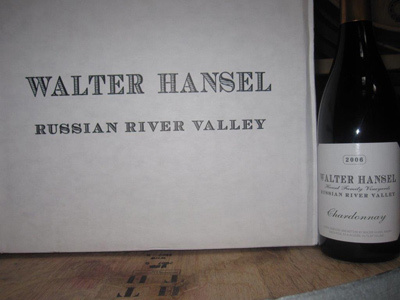 This is a new vineyard designated offering from 100% Hanzell Selection grown in a low land Meadow contiguous to the Santa Rosa Creek. It is dry farmed each year and requires extensive shoot and crop thinning each year due to the extreme fertile conditions. The result is the most fruit forward, with underlining tropical flavors, then any of our chardonnays. All of our wines are Estate grown but this selection benefits from all of our vineyard sites; it does have, however, consist of a high percentage of the original plantings from 1976 and 1989. Large berries and clusters contribute to its great acidity and depth. Six years ago I helped finance a vineyard in Lake County for my Vineyard Manager and his father. They planted sauvignon blanc, a varietal that thrives in a Lake County climate, with temperature swings from lows to highs of 40 to 50 degrees. The very cool nights (35-40 degrees in the middle of the summer) tend to retard sugar allowing for a long growing season. The results were so good, I started purchasing a small amount of fruit from the 2 1/2 acres they farm, using my methods with low yields; leaf pulling and water conservation.